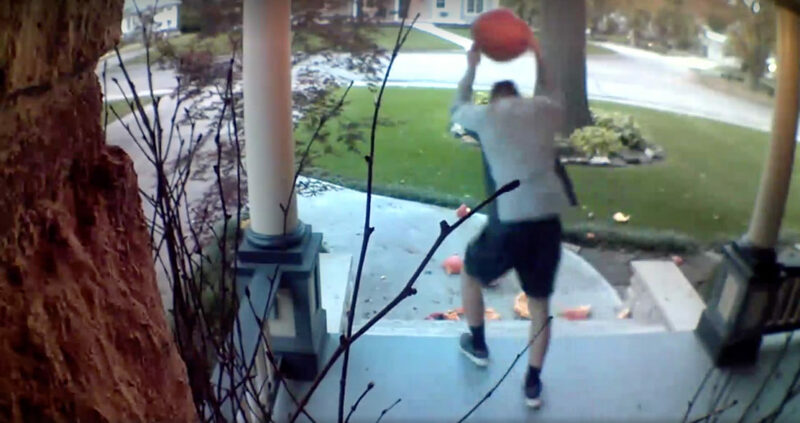 This screenshot from a home surveillance camera shows a man smashing pumpkins from the porch of a house near the University of Kansas campus, Oct. 18, 2018. A Lawrence man says that with help from the community he has identified a University of Kansas student whom he caught on home surveillance video smashing pumpkins on his family’s front porch. He says that after being confronted, the pumpkin smasher “‘fessed up” and agreed to come apologize to his kids. Late last week, Chris Leiszler posted video to Facebook of a young man running up to his family’s front porch just west of the KU campus and — one by one — hurling three pumpkins to the pavement below. Accompanying the video was a photo of Leiszler’s two little boys, posing with sad and angry faces amid the pumpkin carnage. The post has since been shared more than 1,200 times on Facebook and published by several regional, national and even international media outlets (the Daily Mail and Fox News among them). Late Monday night, Leiszler posted an update: “WE FOUND HIM!! !” He said that through a tip to a friend, he figured out the pumpkin smasher was a member of a nearby KU fraternity. 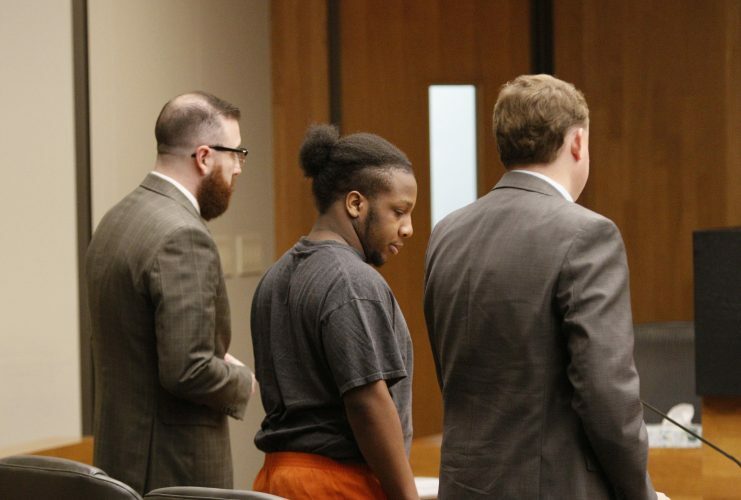 He said he went to the fraternity with a police officer, where “the kid ‘fessed up” and agreed to bring his two accomplices over to apologize in person to Leiszler’s family. As long as that happens, Leiszler said he didn’t plan to press charges or “publicly shame them” by sharing their full names. 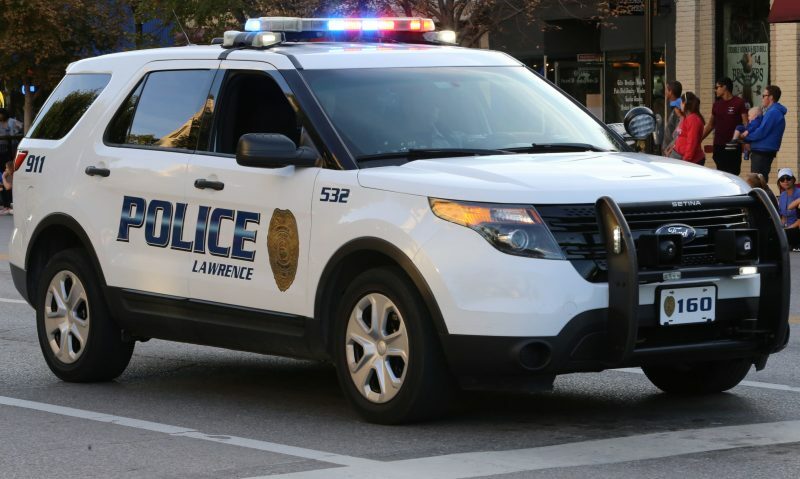 Lawrence police confirmed they were notified about the incident but that a formal report hadn’t been filed as of Tuesday. 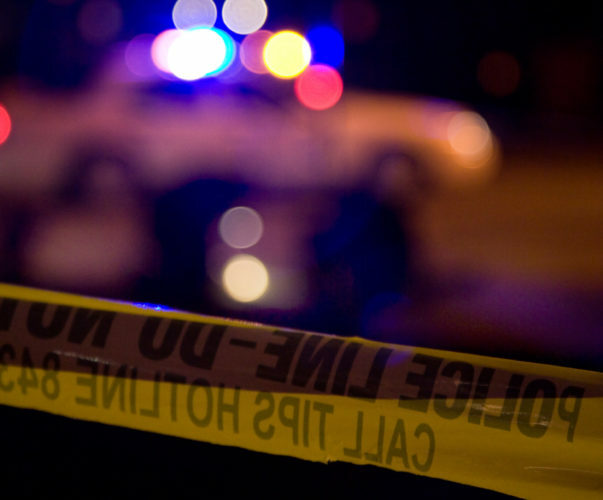 Officer Derrick Smith said that a criminal damage report could still be filed at any time, and that if one were and a suspect were identified that the case would likely go to Municipal Court because of the low monetary value of the damaged property. 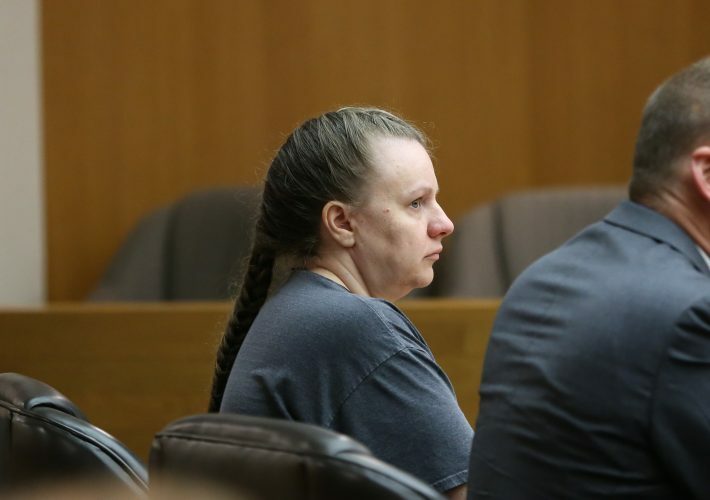 This isn’t the first time his family or the neighbors have had problems with decorations being stolen and smashed, Leiszler said in a message to the Journal-World.